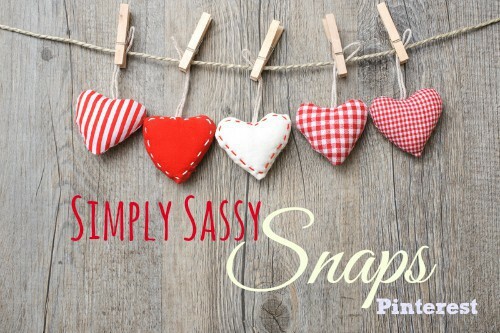 We are rolling out a new, interactive and FUN way to gain new Pinterest followers while showcasing the best that out Simply Sassy Media network has to offer. See something you like? Use the Pin Tool to Pin a photo/post you like onto one of your boards, and make sure you follow the participant! Follow this week’s guest hosts: Family Food and Travel and Diane Hoffmaster. Every week, we will Pin the 5 most popular pins (by click throughs) to our Simply Sassy Snap: Pinterest Board and select 2 new co-hosts from those that participated the week prior. Remember, have fun, share, and be Pin-spired! What a great way for us to find new recipes and ideas for crafts. Thanks for sharing with us! That is a cute idea! I love this holiday. That’s for the link up! I’ve followed, pinned, and shared. I love finding great new things and people to pin! Thanks, will check these out this weekend when I have some time! Wonderful idea, thank you so much. Fun idea. A great group of Pinners here!